I wish I could visit your store and dig through those backissue bins. I’m sure there is an ABC Tomorrow Stories Special in there somewhere. trades? Do you leave the new books on the wall for a week or longer before filing them away? Anyway this is an extremly cool looking place, with great lighting and a very nice dark wooden floor, which was actually the very first thing I noticed. I always enjoy your posts that have to do with the business of selling funnybooks. 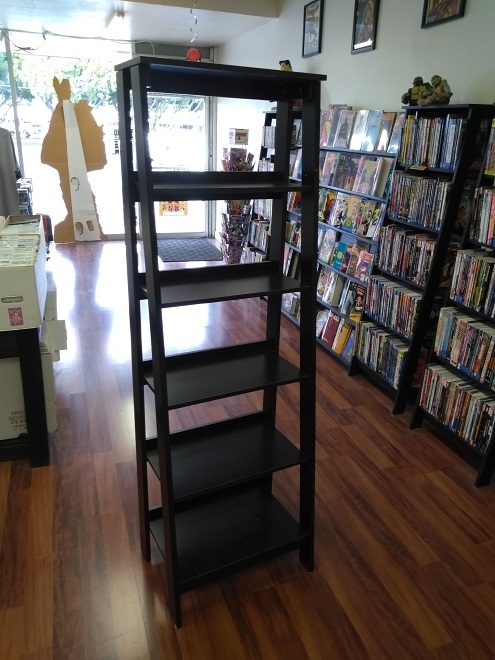 You should sell digital comics, they take up way less space. This is a good problem to have — congratulations on the continuous growth! 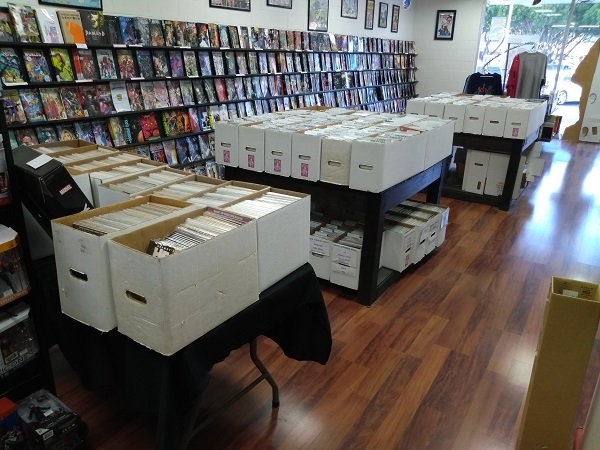 Do you have a quarter/dollar/clearance section for back issues and trade paperbacks? If so, how do you decide what goes in it? 1. Always love the insider’s perspective on comics retail. Thanks! 2. Could you turn your half-a-back-room into an area for extra special merchandise like Gold/Silver Age comics? I visited a store that did that, and it was exciting to be behind the scenes looking at the good stuff. 3. Good luck with your (hopefully) final eye surgery! I like this idea. You could have a curtain with a sign on it notifying customers they need a “Sterling’s Silver Comics Membership Card” to get in. The way to get the membership card would be with a complete set of 100 Marvel Value Stamps. Or 1 Shanna the She-Devil Marvel Value Stamp that you cut out of your copy of Incredible Hulk 181 right there in the store.